Been a short while since the last post... What is the LAMM you ask? 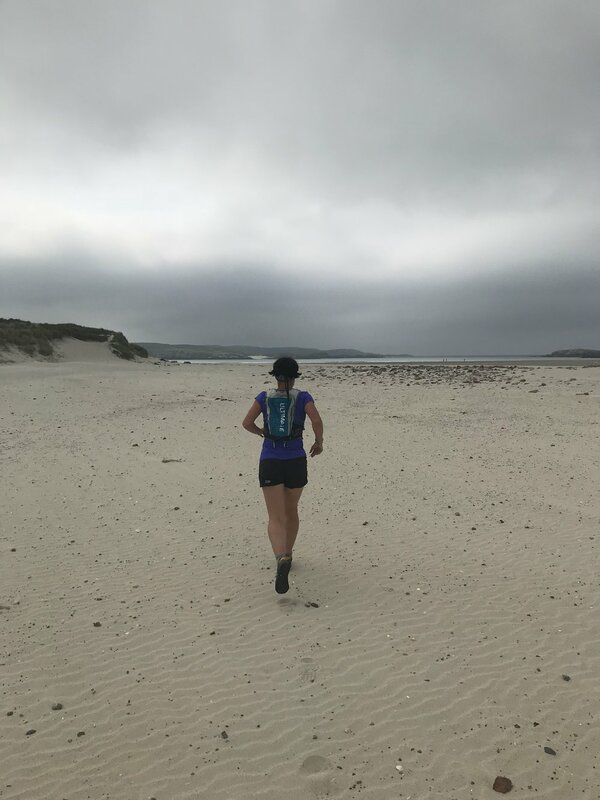 It is the Lowe Alpine Mountain Marathon (and sadly the last) that happened on Friday 1st and Saturday 2nd June in the Hebrides for the first time. The event is always held in Scotland, the first in Arrochar in 1994. There is a lot I could say about the event, but have a look at the photos on Flickr they tell it all. 34 miles with 9,000 feet of climb across the mountains of North West Harris in the Hebrides in amazing scenery with stunning weather. All in all a tough event (as the LAMM's are) as we ran in the Score event. For the uninitiated, a Score race is where you are given a list of checkpoints with a time limit. The harder, further to get checkpoints have the most points. It's all about fell running, navigation and tactics. Some of the best fell runners and ultra runners participate. You run for day 1 carrying your stuff, sleeping bag, tent, food etc. camp, and then race again on day 2. The halfway camp was at the stunning Haranais Beach. We had great company, with Claire and myself running as a pair "The Cobleys", Des Torpe and Chris Smith running the A Class, and Paul Taylor and Josie Greenhalgh running in the Score event. Older PostShrigley Hall Hotel, Kinder, a Curry, Big Daddy and Golf.